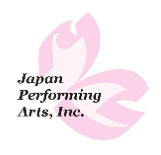 Kimono By Japan Performing Arts, Inc.
All Kimono will be shown in the kimono s section belong to Japan Performing Arts, inc. They are Oshima-tsumugi, Edokomon, Tsujiganhana-some, Hakama & Furisode. Our show was full house! See you at our next production! Various types of formal kimono, men's kimono, and two exquisitely crafted masterpieces of Edo-komon and Oshima-tsumugi kimono will be displayed. The kimono models are the participants of JPA kimono program. They practiced repeatedly for months to be able to wear kimono by themselves for this stage. This segment will be Japanese traditional dance, Nichibu show. For a better understanding, Western ballet dance will be shown for the comparison of unique dance movement characteristics. Then, there will be two classical Nichibu pieces, “Mitsumen Komori” and “Shizuka to Tomomori.” At the end, a contemporary arrangement of Nichibu dance will be shown with a pop hit song choreographed by Yuko Hamada. 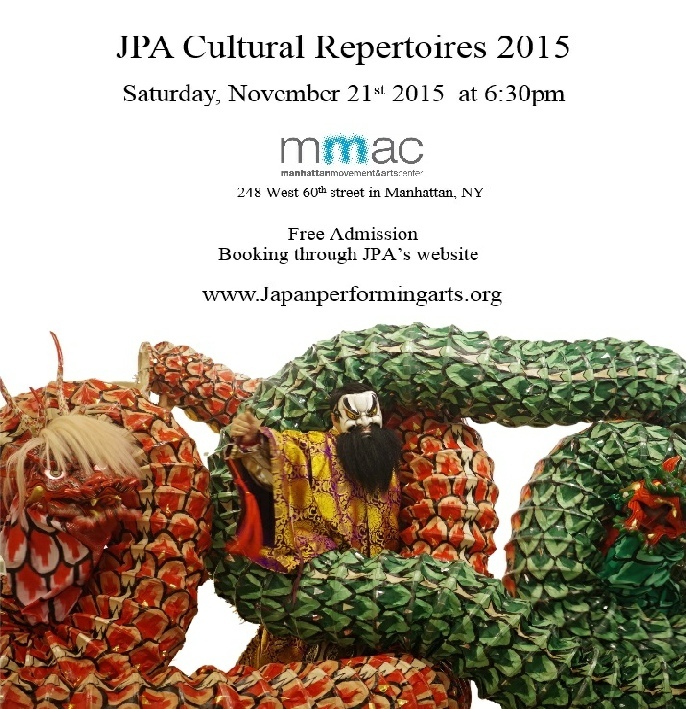 JPA's Iwami/Geihoku Kagura Preservation Society will present “Orochi (Giant Serpents)” from Iwami Kagura this year. During the show, we will explain about the region with very vibrant Kagura entertainment activities. The show will have 17 meter-long serpents on stage with the explanation on how they are made.